When we were kids, “driving” involved a pedal car and Lego hadn’t even debuted Star Wars-themed setups. Now, as part of a driving school for kids ages six to 12 (! 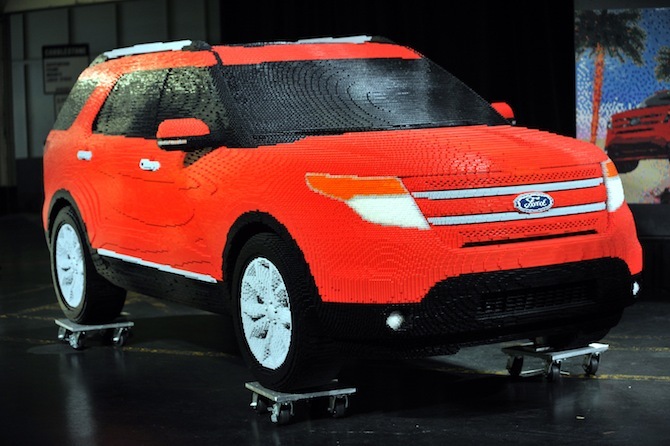 ), Ford has debuted a bright red Explorer made out of the iconic interlocking plastic bricks. 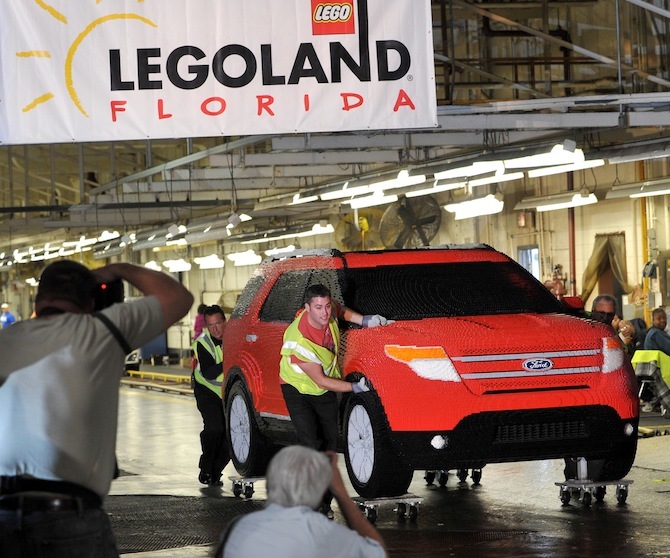 The car will mark the entrance to the Ford Driving School at Legoland Florida, where kids born as recently as 2005 can drive electric cars on curbed roads, reaching speeds as fast as 3 mph. Sure, some pint-sized gearheads visiting the new Legoland might wish Ford had brickified a Mustang Boss 302 or an SVT Raptor instead of the car their mom probably drives them to school in, but the Lego Explorer is still pretty cool. For one, it came out of the Torrance Avenue assembly plant in Chicago and was created by the same engineers who build the Ford Explorer. 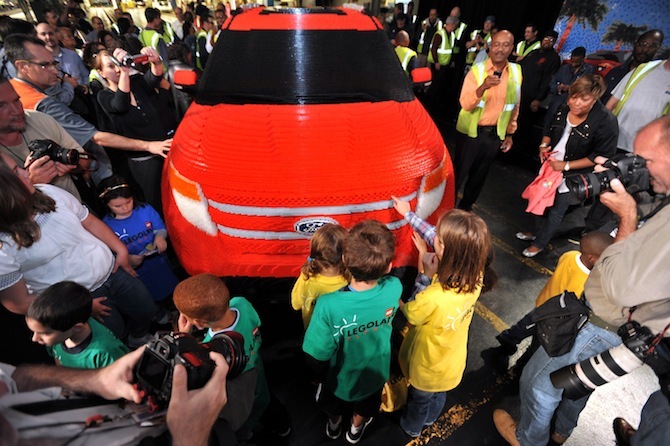 The Lego Explorer took 22 people more than 2,500 hours to build using 380,000 bricks. It rides on a 768-pound aluminum base and weighs 2,624 pounds. And did we mention it’s made out of Legos.